Fortunately or unfortunately depending on how you look at it the Y class were found to be unsuitable for the job due to a lack of acceleration capabilities and were relegated to short distance freight and shunting duties. 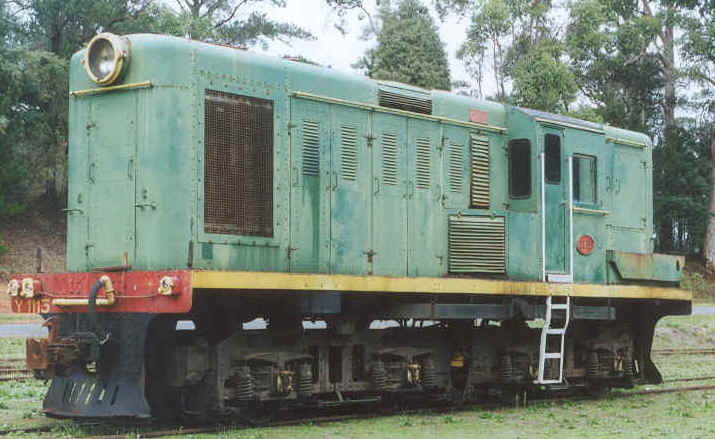 Often described as being one of the ugliest diesel locomotives in Australia due to their short length and ungainly height on the narrow 3ft 6inch gauge these little locomotives performed the duties given to them reasonably well. 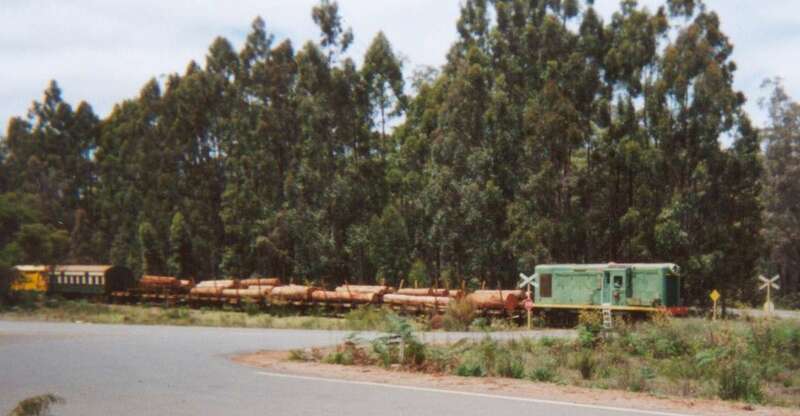 They were often seen working short distance journeys such as the shunting the Flour Mill at Cottesloe from Leighton yard or working the weekly goods to Dwellingup from Pinjarra. 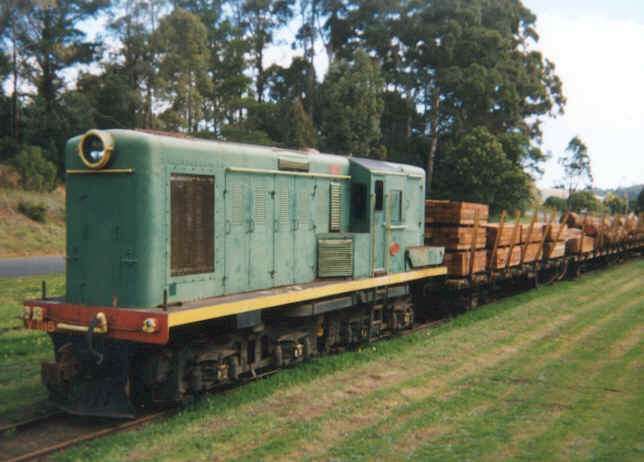 Units 1102, 1107 ,1114 and 1115 were purchased by Ian Willis in the mid 90's and moved to Pemberton where active units 1114 and 1115 have since been used for general shunting duties around the yard and hauling of log traffic during the summer months up until changes in the timber industry in 2001 saw the cessation of log traffic.